What is the largest cinema screen in the world? According to Guinness World Records it is now in the tallest building in South Korea. So that’s officially official. USA: THR asks what is behind the underperforming summer box office in North America, which is down nearly 20% up to the 4th of July holiday. Underperforming titles seem the culprit and no blame apportioned to World Cup (unlike Europe and Latin America). What’s behind the summer drought? Hollywood studio executives and box office observers blame a lack of mega-grossing tentpoles, a dearth of doubles and triples and no huge animated family film. In other words, a number of films have underwhelmed (or bombed), including Fourth of July R-rated comedy Tammy, which posted a five-day debut of $32.9 million, Melissa McCarthy’s lowest recent opening (as a way of comparison, fellow R-rated comedy Neighbors launched to nearly $50 million in May). 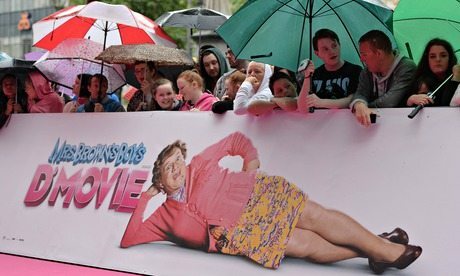 UK – Box office is down in the UK as well (blamed squarely on the World Cup and postponed releases), but the business does have one savior in the form of a middle-aged Irishman in drag. London 2012 proved so catastrophic for cinemas that many ended up simply throwing in the towel. They cancelled regular showings and instead opened their doors for free, hoping to attract crowds with big-screen Olympics coverage and flog enough at the concession stalls to offset some of their losses. Panicked distributors tried to insulate the hit by releasing films the moment it was all over (Brave and The Bourne Legacy actually opened on the Monday after the closing ceremony). The ordeal heightened nerves. And so such counter-programming as was mustered up this time round was too timid to really compete with the footie – a couple of jukebox musicals (Jersey Boys, Walking on Sunshine) and an iffy teen weepie (The Fault in Our Stars). Russia: KaroFilm has appointed Mark Waldman as its new CTO. The Russian multiplex major thus gets a seasoned digital expert with a long track record in Eastern Europe. The company recently announced a USD $150 million expansion plan (), which Waldman will no doubt be closely involve in. No press release, but you read it here first. Brazil: As it awaits the completion of its acquisition by Dolby, Doremi is still busy signing deals in Latin America. It now has over 1,000 screens deployed in Brazil -but unless any of them are ashowing World Cup matches then I don’t think many Brazilians are paying attention to this news right now. Doremi continues to grow rapidly as its top-of-the-line Integrated Media Server, the IMS1000, is selected for CineArt Multiplex, the leading exhibitor in Minas Gerais, the second largest state in Brazil. The contractual agreement between Doremi and CineArt included 32 units to be added to the total install base of 41 servers, with Quanta DGT as the VPF integrator and CineBrasil as the service provider. Brazil: Doremi is not alone. Quanta DGT/AAM also chose to announce a Brazil deal at a time when everybody only seems to care about one thing in that country – and it’s not digital cinema. Doremi servers are used here as well. UK: The Ritzy strike is getting more acrimonious. Striking staff are now urging people to boycott all Picturehouse (Cineworld) cinema, after 97% voted to continue the strike. Yesterday, striking workers at the Brixton Ritzy cinema announced the start an official boycott of all Picturehouse Cinemas. Ireland/UK: The Irish Independent looks at Cineworld and whether its shares are a good investment prospect. It likes what it sees. Interestingly retail revenue accounted for 50pc of the Art House box office revenue and almost a third of multiplex retail revenue. The company is experimenting with Starbucks outlets in its cinemas; 11 cinemas already have coffee sales. The trend in booking is also interesting as 42pc of all sales in the Art House cinemas are by internet and 23pc of mainstream cinemas up from 12pc in 2012. Following CCI acquisition the group is now projecting revenue of £640m this year and £750m next year. India: Another futile state government attempt in India to boost local film making industry by telling cinemas what to program, this one in Kannada. As elsewhere in India this is likely to backfire. Replying to BJP’s Jaggesh in the Legislative Council, owners of multiplexes will be asked to screen Kannada movies during day time. Chief Minister Siddaramaiah will soon hold a meeting with all the stakeholders, including the representatives of Kannada filmdom and multiplex owners, in this regard, he added. As a result of the Tamil Nadu government’s decision to reduce entry fee to multiplexes, investors were reluctant to go to that State. UK: This cinema in a suburb to London is doing its bit for the visual and hearing impaired community. 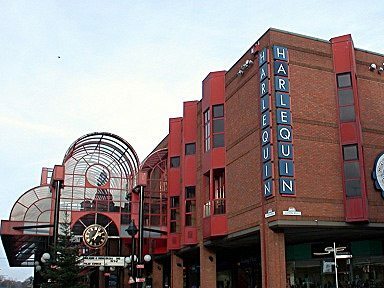 The boss of Redhill’s Harlequin Theatre and Cinema has said she is “thrilled” it is now screening subtitled and audio described screenings, following the installation of a new digital projector. Germany: Digitisation is all but complete in this corner of Germany, seemingly without too many cinemas closing. USA (OH): With a name like The Quaker Cinema you expect simple wooden chairs rather than plus loungers, but it seems this cinema is only staying true to its history for the exterior. “We are elated that Mike Ernest has undertaken the revitalization of The Quaker Cinema, and bringing back the art deco panels and glass block of the 1940s,” said Debbie Aubihl-Knisely, administrative director of the New Philadelphia Business and Community Association. “Theaters can provide an entertainment option for keeping the downtown active in the evening and increase economic activity in the business district. USA (AZ): No clarity still on a new cinema in this corner of Arizona. Maya Cinemas is still researching its options to build a multiplex movie theater in San Tan Valley; however, “nothing is sure right now,” Larry Porricelli, vice president of the Los-Angeles-based theater chain, said during a phone interview July 1. Mr. Porricelli hopes the company can make an announcement within a month, he said. 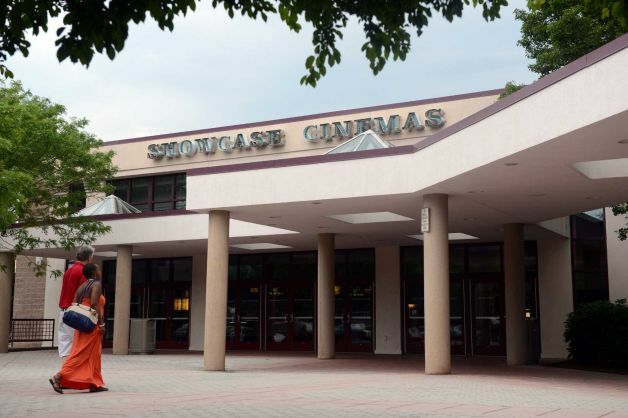 USA (CT): Movie viewing options look set to be further reduced in Bridgeport, Connecticut. This could be the last July 4th weekend that the explosions, gunfire and screams synonymous with summer movie blockbusters rock the walls in the Showcase Cinemas on Canfield Avenue. 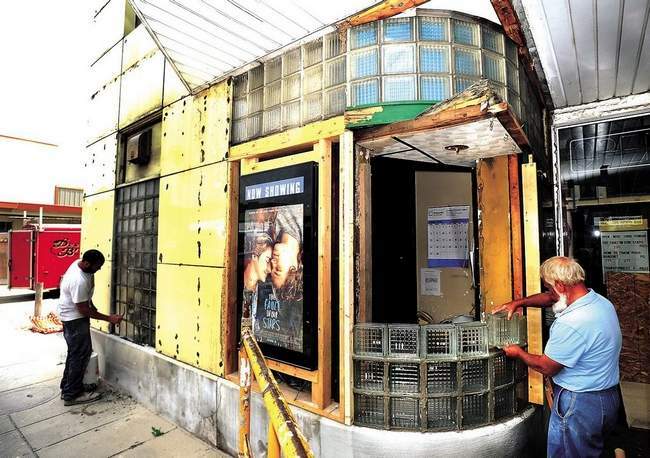 After two decades, the owner of the old Black Rock neighborhood movie house — National Amusements — announced it would put the multiplex on the market, further reducing film fanatics’ options in Greater Bridgeport. India: Inox Leisure has opened a new multiplex in south east Indian state of Andhera Pradesh. INOX Leisure Ltd have commenced the Commercial Operation in 3 screens of the Company’s new Multiplex Cinema Theatre situated at 4th Floor, Chitralayaa, Suryabagh, Visakhapatnam – 530020, from Today, i.e. July 04, 2014. Inox at Chitralaya has 3 screens and 635 seats. The multiplex is 3D enabled with 2K digital projectors and will screen a mix of Telugu, Hindi and English movies, all under one roof. There’s no such thing as ‘Free Popcorn’. Unless it is Tuesday and you are at an MJR Digital Cinema. So find one by tomorrow. MJR Digital Cinemas is offering free popcorn on Tuesdays, beginning July 8 through Aug. 26 at all of its theater locations. All popcorn sizes will be free every Tuesday and includes one free refill on the same day of purchase. The offer is only valid with a ticket purchase.